For business or even for personal projects the road from idea to final result is long and one of the most important parts of a favorable outcome. Whether you just want a simple task list with some specialized fields or a full-blown project profolio management: Ninox gives you complete freedom. 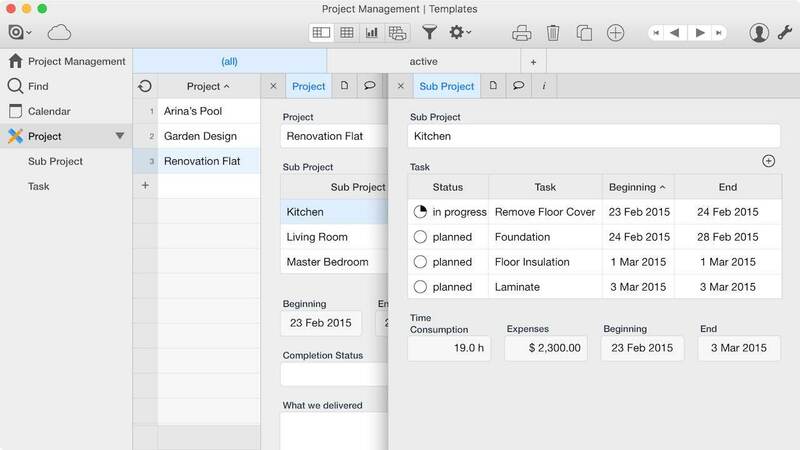 This template is designed to give you a head start on your own project management app. It involves three layers: Projects, Sub Projects and Tasks and it comes with preconfigured aggregations to give you an overview about the current project status. Invite your team to create your project management app that matches your working style for an efficient collaboration. Work online with your team through Ninox Cloud and make your project a win.